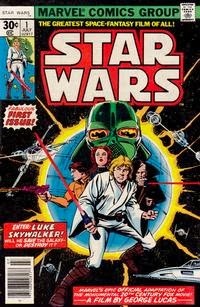 I'm sure you have seen the news today that Lucasfilm will be moving the Star Wars comics license from Dark Horse, where it has been for 22 years, back to Marvel, where it began back in 1977. The shift happens in 2015: Dark Horse's statement is here. Star Wars #1 at Marvel was the first "grown-up" comic book I ever read and aggressively collected, and Marvel gave me my start as a professional comics writer in 2003 with Crimson Dynamo and Iron Man. Dark Horse gave me my start writing Star Wars comics not long after that -- and Dark Horse has published the majority of my comics work. My life wouldn't have been the same without Star Wars, or Marvel, or Dark Horse -- so the news prompts a variety of observations, both personally, and in the context of comics history. 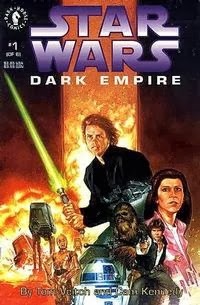 Dark Horse's tenure as publisher, which began with Dark Empire #1, is almost without parallel in the modern era of licensed comics: not simply for its duration, but also for the sheer number of releases. All of which were tightly coordinated with Lucasfilm, and several of which involved cooperative efforts with other licensors. Dark Horse helped make possible my own hybrid comics/prose series in Knight Errant and Lost Tribe of the Sith -- and my 2013 Kenobi novel for Random House even began as a graphic novel proposal for Dark Horse. 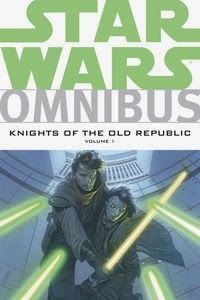 And, of course, it gave me the title I'm most associated with, Knights of the Old Republic. Starting with the first page on planet Taris, we got to take a young hero on a grand tour of the Star Wars galaxy that lasted nearly five years; it's a rare thing in licensed comics for a writer to work on such a long series from start to finish, and I will forever be indebted to Dark Horse for both the opportunity and for the confidence they showed. Dark Horse's editorial team is top-notch, and they've every reason to be of the vast library of work they've created over the years. 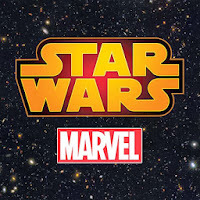 Marvel, again, is a return for the license: as I have written at various times on my comics history site Comichron and in articles for various magazines and guides, the comics industry was in dire straits when Star Wars was released in 1977; Roy Thomas through great determination brought the title to Marvel, and it was a boon to both it and the comics business. The first issue, released well before the movie came out, was not only a million-copy seller, but according to my research, was the first book to reach that figure since 1960! The comics industry has rebounded in countless ways since then, of course -- and now Marvel has the chance to develop comics again for Lucasfilm, this time as a sister company of Disney. It's a new era, and I know everyone will be interested to see what Marvel has in store. So as we all look with interest to the future, a fond salute to the past. Thank you again, Dark Horse, for lots of great comics. We'll always have Taris.